I apologize I didn't kept track of my own report, but I realize now, with Firefox 39.0.3 and EagleGet 2.0.4.3 "Download with Eagleget" from the Save/Open Window is working again. Thanks and sorry for not knowing exactly from which version has this been fixed. When loading a page with video content (youtube, imdb etc) EG won't display anything - correct! But after going fullscreen, and return to normal window again, the floating "Download" bar appears in the left upper corner. "Auto Categorize Downloads" is disabled (well, it shouldn't change file extensions anyway). With "Browser Monitoring" enabled there is no problem with Firefox 38. I haven't got to use "Pause Browser Monitoring..." hotkey because at the time - couple of versions ago - the behaviour was inconsistent, a lot of times didn't work. Now I give it a try again and either there were some fixes made or I get to understand how it works, it seems fine. Just have to keep the hotkeys pressed a few more moments until the download window appears. Thanks. Also the option from the context menu "Download with Eagleget (S)" is working ok. Btw, "S" is by default already assigned for "Search..." in the context menu. So, it's manageable, but it's still a bug. Eagleget v2.0.3.8 install version. "Enable Browser Monitoring" disabled*. Firefox 38 (38.0.1) instead of opening Eagleget download window it will trigger Firefox default download routine. Something is different with Firefox v38. Don't know if has something to do with new tab preferences UI. * I want to have the possibility to choose between Eagleget and default download routine because some referrals doesn't work with Eagleget. 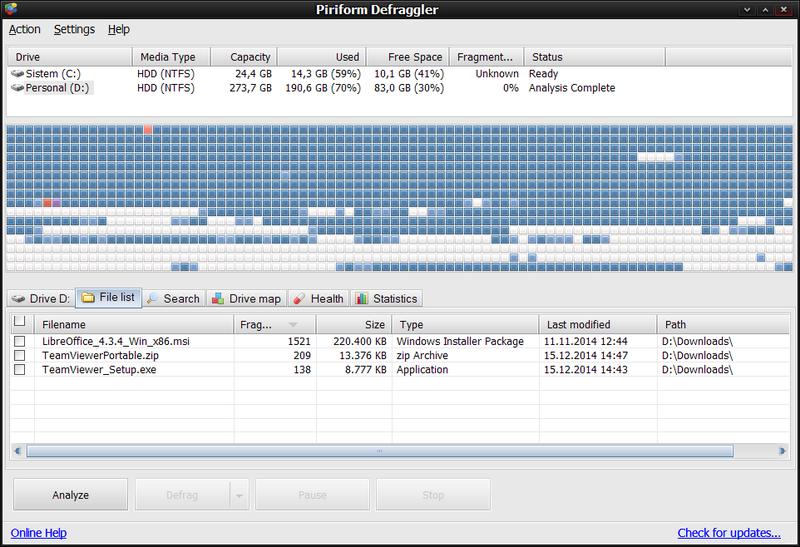 Downloaded files are writen in many fragments, which on HDD is detrimental to performance. Pre-allocation allows data to be written into a designated area, thus reducing fragmentation. For now, my solution is to copy the downloaded files to their designated folders (programs, documents etc) istead of moving them, and delete the fragmented ones, but this takes time, and is a solution for the files only, the free space on that partition remain fragmented. Please consider a solution for the files fragmentation, which is significant on multiple number of threads. Maybe pre-allocation for the files?